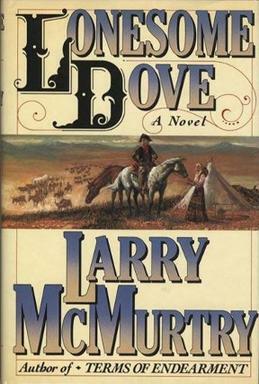 For starters, I love the Lonesome Dove series by Larry McMurtry. If you haven’t read these books, please do yourself a favor and read all four of them. There is no better example of gritty historical Texas fiction in my opinion. In the novel/TV mini-series Lorie is hoping to escape the drudgery of life in a small South Texas town by heading west to California, the land of opportunity and promise. Gus’ words are as true today as they were in the 1880s. Life is life wherever you live. Have you ever been on your way home from work, changing a dirty diaper, or making the long trek from bed to coffee and think, “If I was on a white sandy beach with a cool drink in my hand, life would be a lot better?” Or maybe you think about how much better life would be if you lived on a ranch surrounded by mountains and forests punctuated by a clear peaceful stream. Maybe you are like me, and you have contemplated how different life might be in X city or Y state. In any case, I think many of us equate place with happiness. There is for sure some truth to this. When I go to the land my grandfather left for my family and me in Eastern Oklahoma, there is a spot at one of the high points in a clearing that provides a view of the foothills of the Ozarks. From this vantage point there is not a single example of man made structures. Back in my teens, I used to go to there by myself, take a deep breath, bask in the natural beauty, and feel some sort of physical connection to the land. This made me happy. When I was in Ouray, Colorado, the towering peaks, crisp air, and fragrant green pines had a healing effect on my mind and body. Watching the giraffes run, hearing the elephants trumpet, and seeing the majesty of a lion all with a Ugandan sunset serving as a one of a kind backdrop was breathtaking. I couldn’t help but smile when I kayaked from Lindeman Island off the coast of Australia to a neighboring deserted island as a sea turtle swam under the surface of the turquoise water. Watching a black sand beach sunset from atop a cliff in Raglan, New Zealand was spectacular. Celebrating an Easter morning sunrise in Coffs Harbour, Australia with my wife as we sip mimosas, listen to praise and worship music, and watch dolphins ride the sea swells can never be replicated. As my wife and I watched Uluru change colors multiple times as the sun rose in the Australian Outback, we traded grins between the sips of hot coffee and tea. In these places and many more, life definitely seemed more special than the mundane moments back home. But life in places near and far, “normal” and exotic, is still life. As Gus so eloquently explained, things have a way of being just about the same wherever one travels. As I lived abroad, people got sick, dishes needed to be washed, laundry needed to be cleaned, commutes remained a necessary evil, work had to be done, bills had to be paid, groceries had to be purchased, and responsibilities mounted. I had a blast exploring the world, but I missed my family and way of life back home too. I found that after the hike was finished, life was still the same. After I left the beach and headed back to our flat, life was still the same. After taking in the beauty of the mountains, life was still the same. I agree with Gus to the extent that we should live intentionally, making an effort to enjoy the little things in life. It is just that I think Gus’ analysis is lacking one thing. You see, God created all of these little things and big things, and we get to enjoy them, but when we seek the creation instead of the creator, it leaves us wanting more. If we seek God first for our fulfillment and satisfaction, it means that we can have joy and peace regardless of where we are. Whether the “where” is a geographic place, a socioeconomic circumstance, a bad job, or a flawed relationship, it does not matter. God’s peace and joy is a deep well that even the driest of droughts cannot extinguish. The wisdom of Augustus McCrae is still simple, yet powerful. If you want anything “too badly” (except for Christ), it’s likely to turn out to be a disappointment. If you really gut check yourself enough, you know this is true. You have received a job offer, a promotion, a new car, a new house, a new spouse, a new child, a great opportunity, a drunk night on the town, a college degree, a cool trip, and/or a compliment only to find that you are craving something more. That something more is the love, acceptance, and peace of Jesus. Even when I was a kid, I looked forward to Christmas for the gifts, but more importantly for the experience of family, food, and fellowship. When I woke up on December 26th, I always felt a little sad that this momentous occasion had passed. Did you? When the words of Augustus McCrae and the words of God coincide, I definitely take notice. By no means do I have this practice mastered. I am still learning to seek God first, enjoy the little things, and savor the big things. I desperately want to eat, drink, and be merry. Sometimes I do. Sometimes I don’t. What keeps me going is the love of Christ that I have experienced over and over again. While my practice is imperfect, I fully believe that life is better when there is less of me and more of God. If life in San Francisco is still just life, wouldn’t it be better to find the constant that makes life worthwhile, enjoyable, and meaningful, regardless of place? The truth is that we can. We can enjoy the little things in life if we pursue THE big thing in life first: the creator of the universe. I have pursued Him. I have found Him. For that I am eternally thankful. Is this blog post merely something that I am dealing with, or is this also something that you have consciously or subconsciously been dealing with for some time? When you reach your San Francisco and come to terms with the reality of your new situation, please let me know.